This workshop is being held at my studio space on Salt Spring Island. The Honeysuckle Rib basket is always a favourite with everyone who makes one and is ideal for beginners. 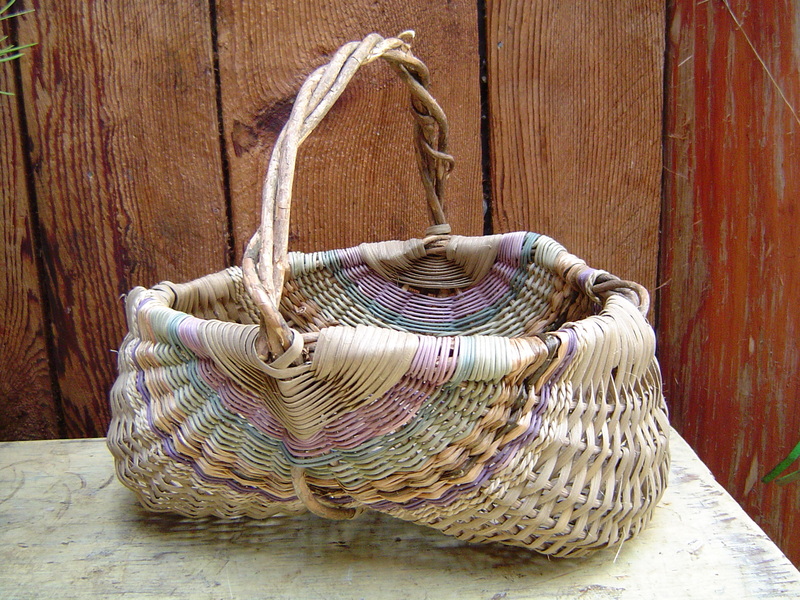 This basket is also called an egg basket and has many design variations and allows for incorporating a wide variety of materials. We will be starting with honeysuckle vine hoops and using dyed reed and an assortment of natural materials for added texture and design interest.